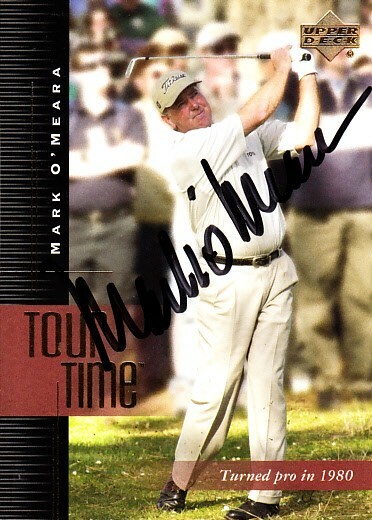 2001 Upper Deck Tour Time golf card #187 autographed in black marker by former Masters and British Open champion Mark O'Meara. Obtained in person, with certificate of authenticity from AutographsForSale.com. ONLY 2 AVAILABLE FOR SALE.